A global communications group has moved into its new offices at Hermitage Court, Hermitage Lane, Maidstone. From its new Kent offices, Havas Shared Services Ltd will continue to provide management services to the subsidiaries of Havas, one of the world’s largest global advertising, digital and communications groups, with its headquarters in Paris. The company has taken a 10 year lease on the newly constructed Grade A 5,300 sq ft offices, built by Gallagher Properties Ltd. The new offices provide Havas’ UK operations with a shared service centre following its move to Hermitage Court after 48 years at Concorde House, Maidstone. Developed speculatively by Gallagher Properties Ltd in recognition of its confidence in Hermitage Court as a business location, the construction of Units G and H began last year. Following a pre-let agreement, specific requirements were incorporated into the building for Havas by Gallagher. Gallagher introduced Havas to Blue Jelly who worked alongside Gallagher to design and carry out the fit out to a high standard, incorporating Havas’ corporate identity. Constructed with high quality materials, the new offices include Kentish Ragstone feature walling using stone quarried less than a mile away at Hermitage Quarry. 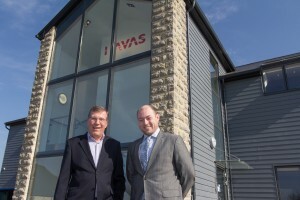 Stephen Gallagher, Property Manager of Gallagher Properties Ltd, added: “We are delighted to welcome Havas Shared Services Ltd to Hermitage Court. They are a wonderful addition to this successful business park. The adjacent new office building, Unit G, which is also just over 5,000 sq ft in size, is nearing completion and currently being marketed to prospective occupiers.